Note: 18-40 yrs old only. Astor Hyde Park won 1st Best Small hostel chain and 1st in the Lifetime achievement awards at the 2015 Hoscars and it's easy to see why. 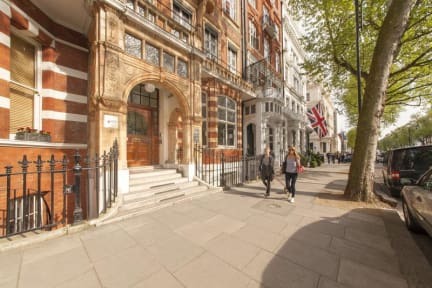 It's located in the upscale neighbourhood of South Kensington beside Hyde Park and close to several of London's best museums. Guests have praised this location for being a 'wonderful area close to everything [but] also far enough away to be off the tourist trail'. 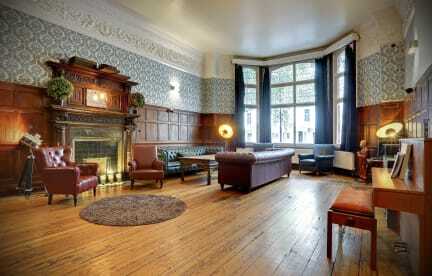 One reviewer said this is 'a great hostel if you're looking for somewhere central in London without paying a fortune'. We like their relaxed, friendly staff, who we've been told are 'very helpful, personable and informative'. Located in the most beautiful and charming neighbourhood in London, Astor Hyde Park is one minute from Hyde Park and surrounded by some of London’s greatest museums including the Natural History Museum, Victoria & Albert and Science Museum. The hostel is a short walk from London’s best transport connections, including direct trains to Heathrow Airport and all of London’s attractions. If this weren’t enough the iconic pubs, excellent shopping, amazing restaurants and occasional celebrity sighting make it the perfect place to live while in London! Reservations must be made for guests over the age of 18. Any reservations made for those under the minimum age will be cancelled and you will not receive a refund. The hostel organises daily events aimed at backpackers between the ages of 18-30, it is therefore suggested that guests under the age of 40 would enjoy the hostel the most. Proof of identification must be shown on arrival and can include a passport, driving license and national identity cards. We cannot accept paper driving licences, student or employee IDs as proof of identity and failure to show proof or a copy upon arrival will result in the cancellation of a reservation without a refund. Get in touch with us for further clarification. Great central place to crash in London, the staff were very helpful, great set up with lockers under beds and very clean. I didn't get a chance to hang out in the hostel much but there seemed to be lots going on and the atmosphere was very friendly. Had such a fun time here! 100% would stay again! Reece was awesome as well ! Lovely hostel in a great location. Lots of space to hang out and a great kitchen. Bathroom smelt a bit funky though and more bathrooms would have been helpful - might have just missed them though! Overall a great hostel! Although, there were a few things I noticed - The bathrooms never felt super clean and had a moldy smell to them since there was no fan to circulate the air. The WiFi didn’t work in the rooms downstairs. I also noticed that there were people over the age of 40 staying at the hostel, although the hostel says no one over the age of 40. The staff was amazing and very helpful and the vibe at the hostel was really good too! Only spent one night but it was a good hostel! Good location with a very nice staff. Would definitely recommend Astor Hyde Park Hostel. The staff and reception were excellent and the check in process was very smooth. My friend and I stayed in a lovely twin room with a good nightly rate -cheaper than most hotels or airbnbs! The location is great, near a couple different underground stations, restaurants, and the hostel offers discounts to local pubs and tours & lots of local tips. Great place to stay for a few nights! There was a slight mishap where the hostel seemed to think I was checking out the day before I actually was, so I found my bed cleared of all my things on my second to last night, and it took about a half hour for the staff to figure out what happened to my stuff. It turned out the cleaning staff had just left it behind the reception desk, and everything was safe and secure, but it was a bit of an anxiety-inducing experience. Otherwise, the stay was great, and the location is unbeatable. Stayed in a 4 person bed on the main floor for the first half of our stay. Found the room and the washroom to have black mold all over the walls. There were also minimal plugs available to charge our phones . The second half of our stay we stayed in another 4 person dorm on the 4th floor which was much cleaner with newer beds that had personal wall plugs. My friend's duvet insert was covered in yellow stains and the pillows are completely flat. Overall not impressed, but staff was very friendly.